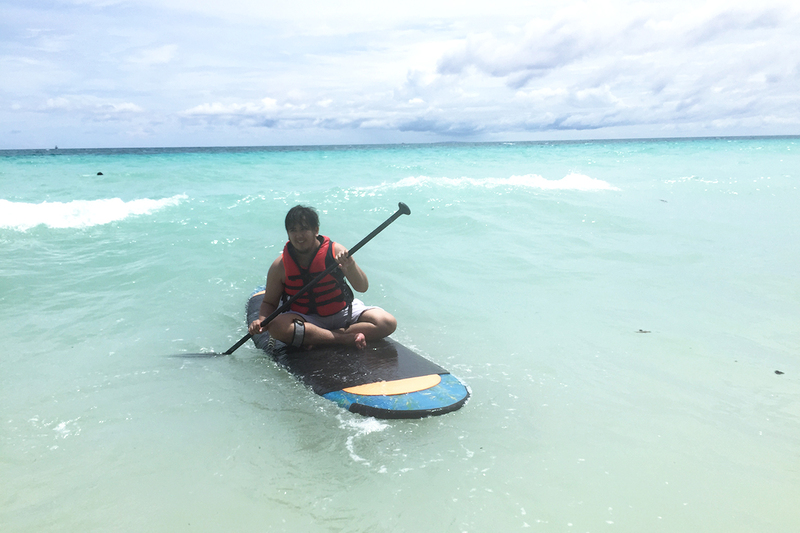 I divided my second day in Boracay into two entries just because I wanted to give a separate section for the activities that I did in Boracay. You may check the first part by clicking this link. It was raining in the morning of our second day. It’s already June, start of the rainy season in the Philippines so it’s a bit expected to rain. I was a bit disappointed though, we waited for the rain to stop and when it did Patrick and I took some pictures (which includes my ootds) then we swam in the beach soon after. Patrick rented the paddleboat for me to try it out. It was really difficult to balance stand on it. I’m actually about to fall in the photo above. How in the world do I use this paddle? Thanks Pat for letting my experience the paddleboat! Patricks’s turn! Some of my family members took turns in trying out the paddleboat as well. 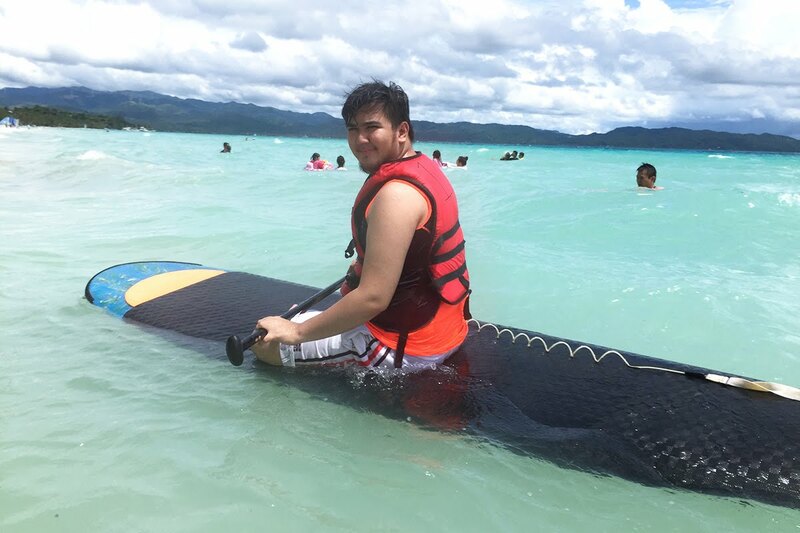 Only my younger brother was able to stand on it for long. After eating lunch. 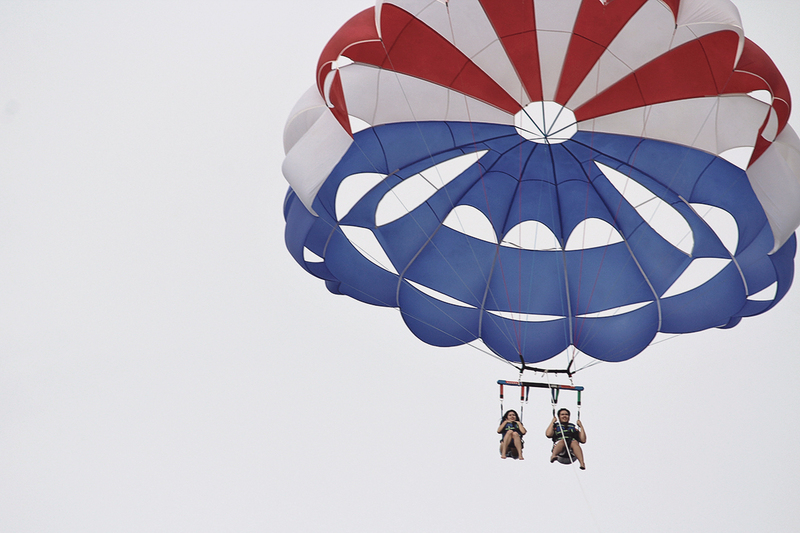 Eight of us went parasailing. 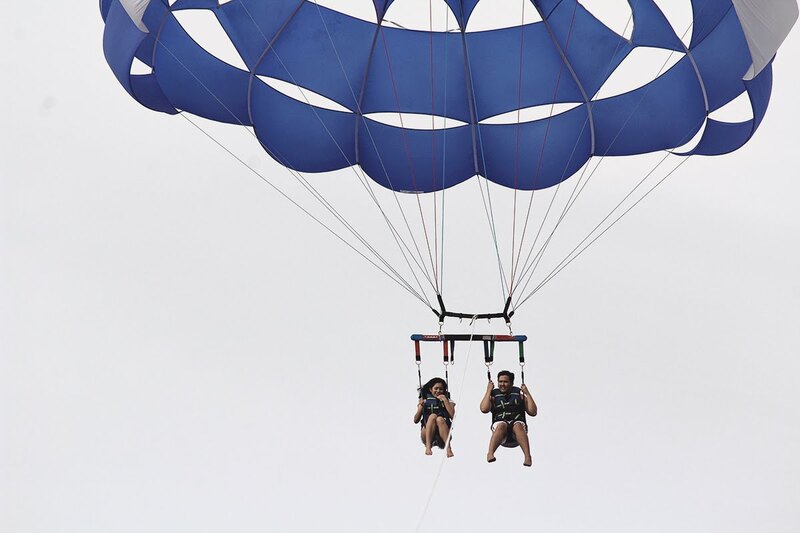 Parasailing was really really fun.. Plus I got my loml with me which made the experience extra special. During that time, I was asking him what would our plan be if one of our gears/support would actually snap.. He stopped me and just told me to ‘shhh’... Hahaha. At the top, we felt the strong breeze. 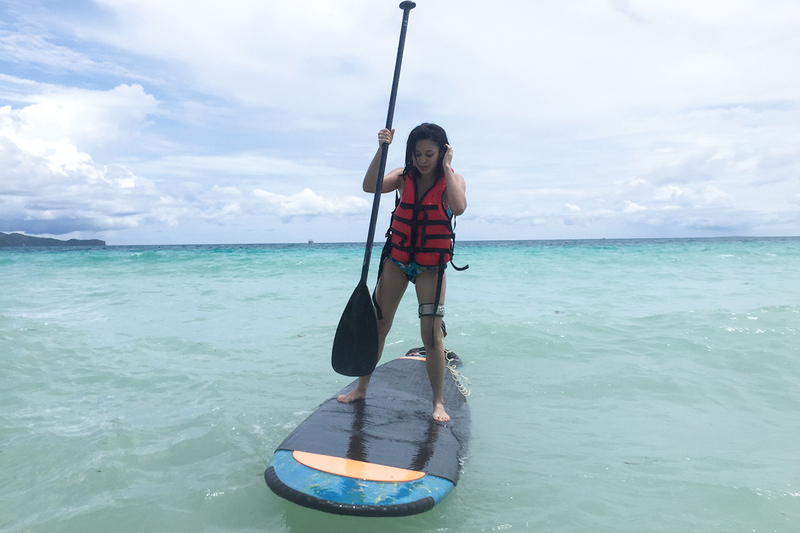 I kept thinking that we could fall anytime and I kind of gotten dizzy from all the boat ride... still parasailing was one of the best things we did in Boracay. I don’t know where we got it, but when we got back to the hotel. Our backs were sunburned. Ouch, ouch, ouch. 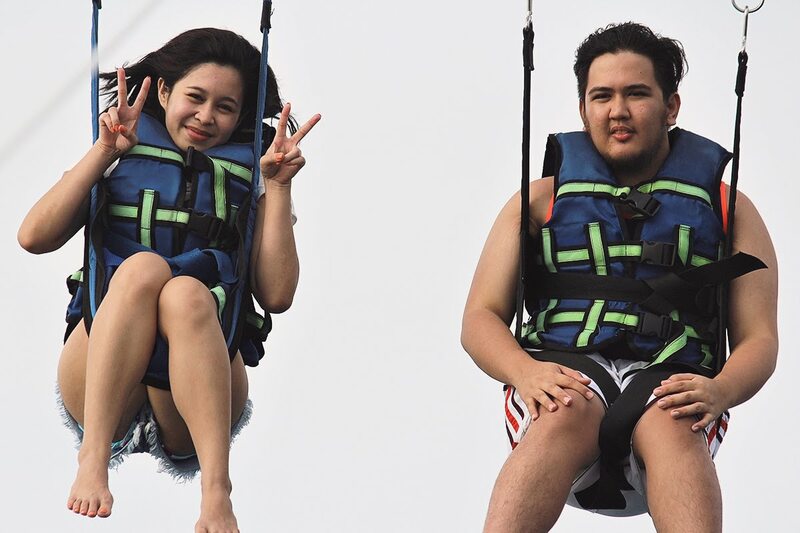 Just in case you’re wondering..
We paid the paddleboat Php 500 for 1 hour and Php 1,000 per person for the parasailing. 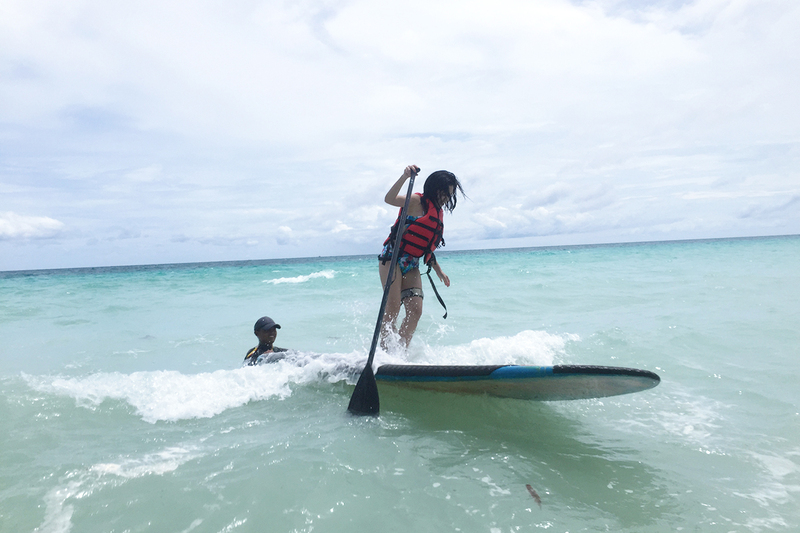 I skipped all the other activities but if I get a chance to go back to Boracay I will make sure to try some other activities, like the ATV and Island hoping.